Finally Intel has something to celebrate. 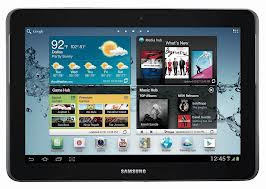 Samsung yesterday announced two new Galaxy Tab 3 models and Intel will be powering the 10.1 incher brand new Galaxy Tab 3. The new Android 4.2.2 run 10.1 Galaxy Tab 3 will be powered by 1.6GHz dual core processor, Atom Z2560. Atom Z2560 belongs to the Intels Clover Trail family of chipsets which includes the SGX 544MP2 GPU which has clocked 400MHz. Intel claims that the SoC provides double the performance and triple the graphical capabilities of earlier Atom-powered Android devices, with "competitive" battery life. The 10.1 inch Galaxy Tab 3 will be the Samsung's first Intel Inside Android tablet. Intel has been nearly invisible in the smart phone processor market with Qualcomm's Snapdragon reigning supreme.